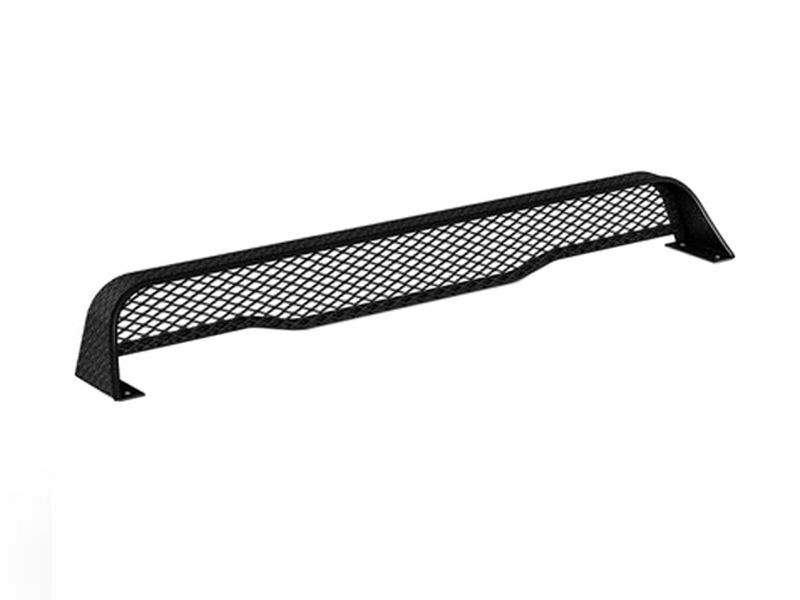 Protect the cab of your truck with the DiamondBack Low-Profile Cab Guard. The low-profile cab guard works only with the DiamondBack HD and SE tonneau covers. DiamondBack's Low-Profile Cab Guard is 8" tall and will allow you to still see out the rear view window without any restrictions. Manufactured of industrial strength diamond plated aluminum, the same material that the cover is made of, it will protect the cab of your truck from any cargo you are carrying on top of the cover. The low-Profile cab guard comes in a bright aluminum finish or a black spray-on finish. The low-profile cab guard mounts directly to the top of the cover and will not impede the use of the front panel.